Have you ever went through your old bird photographs and discouverd a good photograph you might have missed on your inital edit? With advances in Digital Editing a not so good bird photograph might be resurected with some fine tuning. Below there are two photographs of a Willet. 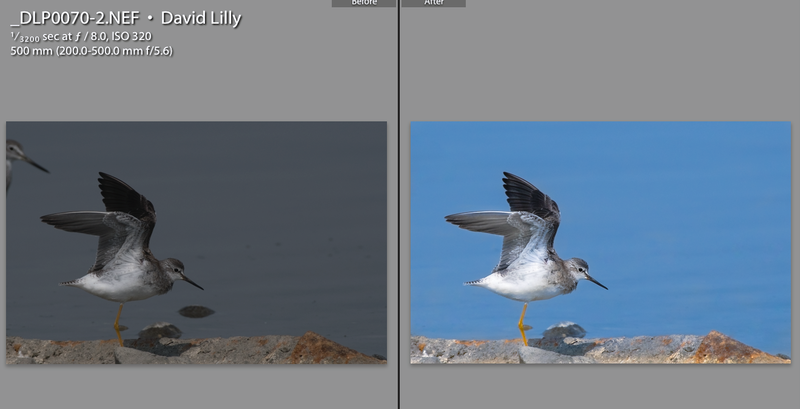 The photograph on the left might have ended up in the deleteted folder if it were not for Lightroom. By removing the bird in the top left corner and an increase in exposure. the photograph started to look good. A few additional Lightrom tricks and a completely new image on the right. Before you discard those photographs that did not make the first edit, leave them for a few days and then take a second look, you may discouver a great photo.